Now for the good news – you can buy cannabis balm online for arthritis right here at Herbal Organics and our name says it all. We only sell the best natural therapies that are organic and pure, so good for you. Buy our new cannabis balm for arthritis from us here, online, today. 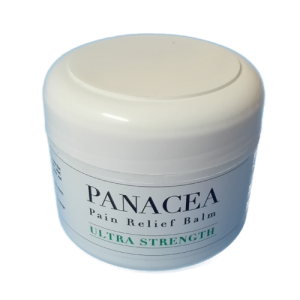 Panacea Ultra Strength Pain Relief Balm is made for those aching joints – yes, it is a natural and organic cannabis oil-infused balm that is perfect for pain in specific areas of your body. What is more, it is blended with Shea butter, hemp oil, coconut oil and several beautiful essential oils to sort out inflammation in a jiffy. Many of our loyal clients say that our cannabis balm is a real life saver, and we believe that Panacea cannabis balm is also life changing. Use it on your arthritis, muscles and other chronically painful areas. It is also 100% vegan and has never been tested on animals. When we look deeper into the constituents of cannabis oil and cannabis balm, we find plenty of healing cannabinoids, or chemical compounds, The two cannabinoids used mainly in medical cannabis oil products are cannabidiol (CBD) and tetrahydrocannabinol (THC), both of which are natural anti-inflammatory compounds which heal pain and many chronic diseases. CBD is a non-psychotic cannabinoid which is known to treat insomnia, anxiety, nausea and vomiting, lack of appetite, lack of energy, stress and depression, not forgetting arthritis. The CBD is able to relieve the inflammation in the joints when it interacts with cannabinoid receptors in the joints, to work to maintain the natural balance of the body’s immune system. CBD is also a natural antioxidant which prevents free radical from harming cells. It has been known to heal people with epilepsy, and to reduce the spasticiy in the limbs of people with multiple sclerosis. THC, on the other hand, is psychoactive but can heal many chronic diseases. To mitigate the high it causes, users mix the THC with CBD, the anti-psychotic compound, and the result is an incredible healing therapy. 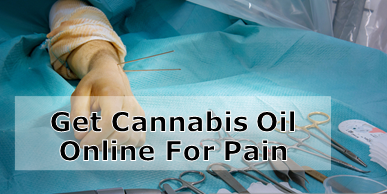 Now you can buy cannabis balm online for arthritis and this does not make anyone high. Rub the cream into the joints and feel relief almost immediately. The first CBD products were designed for the skin, aching muscles and joints – and now CBD can be found in the latest face creams. This versatile cannabinoid can really benefit arthritis as the cream goes straight to the pain, without having to bypass the liver. Always source CBD and THC cannabis balm from reputable dealers and make sure they are organic. Arthritis is a disease that is spreading in the western world thank to our diets and stress loads. It is all about pain in the joints, the main symptoms being painful joints, swollen and stiff joints, and reduced mobility in joints. Later, patients get moody and depressed as their mobility gets even worse and the pain increases. 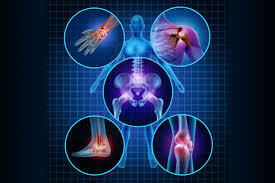 There are more than 100 different types of arthritis, the main diseases being rheumatoid arthritis and osteoarthritis. Rheumatoid arthritis is an autoimmune disease where the body’s immune system attacks its own tissues in the joints. Osteoarthritis usually develops after an injury or wear and tear. Gout is also a common form of arthritis, along with fibromyalgia and lupus. If you are at risk, or you already have arthritis, buy your cannabis balm online right here, at Herbal Organics. We are at your service.